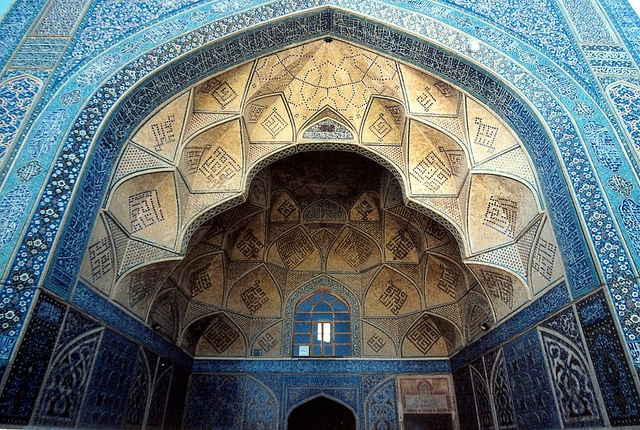 The second domed room lies on a longitudinal axis right across the double-arcaded courtyard. This opposite placement and varied decoration underscores the political enmity between the respective patrons; each dome vies for primacy through its position and architectural articulation. 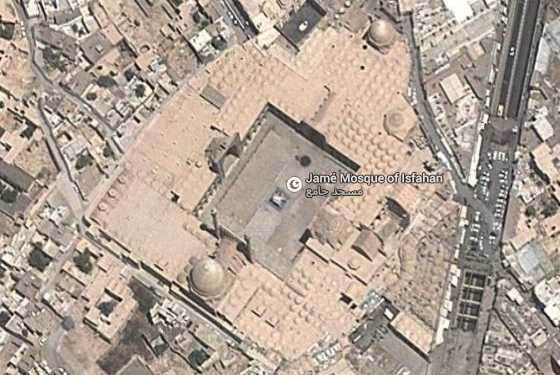 Nizam al-Mulk, vizier to Malik Shah I, commissioned the qibla dome in 1086. But a year later, he fell out of favor with the ruler and Taj al-Mulk, his nemesis, with support from female members of the court, quickly replaced him. 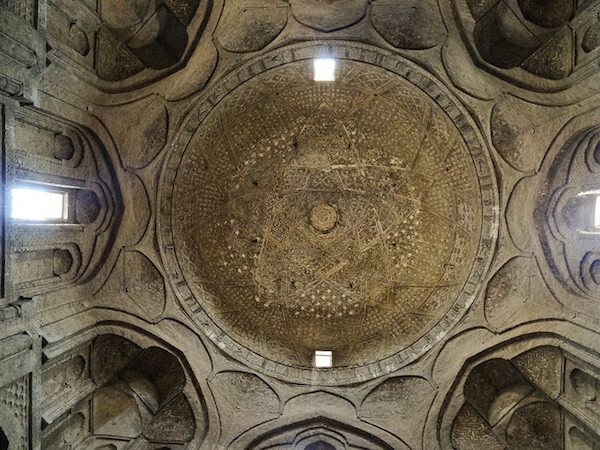 The new vizier’s dome (below), built in 1088, is smaller but considered a masterpiece of proportions. 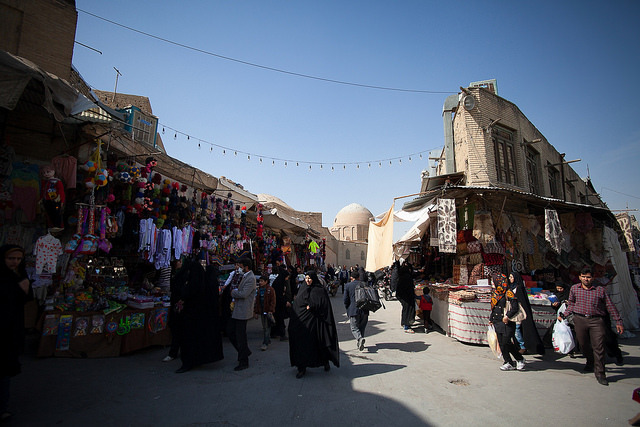 When Shah Abbas I, a Safavid dynasty ruler, decided to move the capital of his empire from Qazvin to Isfahan in the late 16th century, he crafted a completely new imperial and mercantile center away from the old Seljuk city. 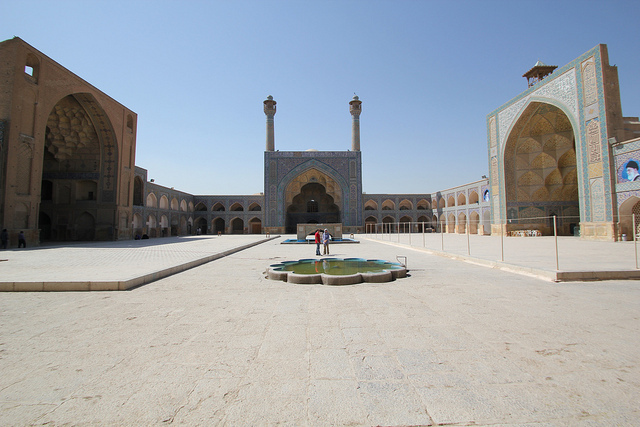 While the new square and its adjoining buildings, renowned for their exquisite decorations, renewed Isfahan’s prestige among the early modern cities of the world, the significance of the Seljuk mosque and its influence on the population was not forgotten. 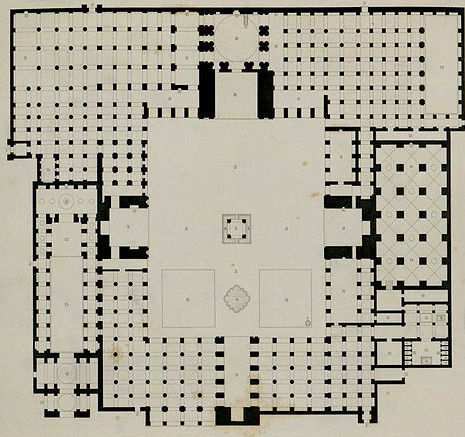 This link amongst the political, commercial, social, and religious activities is nowhere more emphasized than in the architectural layout of Isfahan’s covered bazaar. 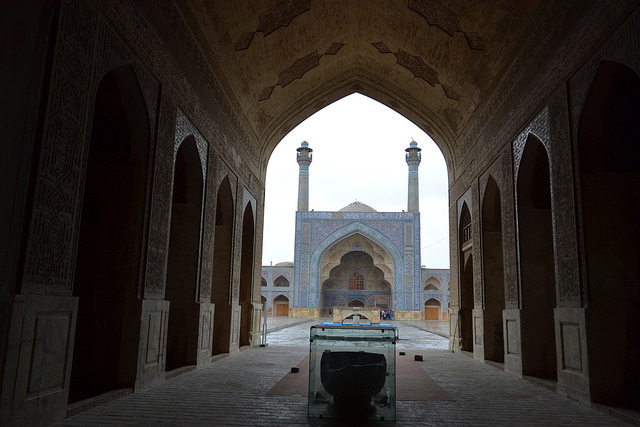 Its massive brick vaulting and lengthy, sinuous route connects the Safavid center to the city’s ancient heart, the Great Mosque of Isfahan. Cite this page as: Dr. Radha Dalal, "The Great Mosque (or Masjid-e Jameh) of Isfahan," in Smarthistory, August 8, 2015, accessed April 22, 2019, https://smarthistory.org/the-great-mosque-or-masjid-e-jameh-of-isfahan/.